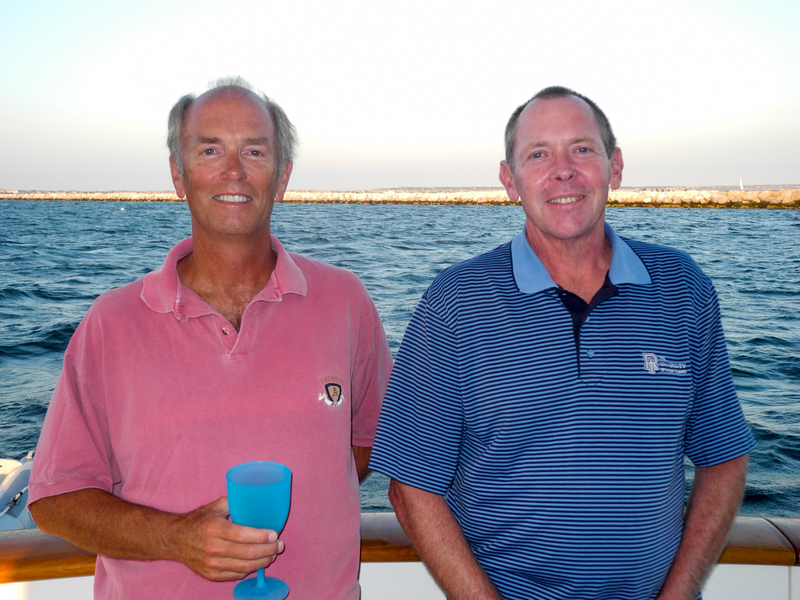 We dropped the Nantucket Moorings pennant and left the harbor for the five hour run to Naushon Island. 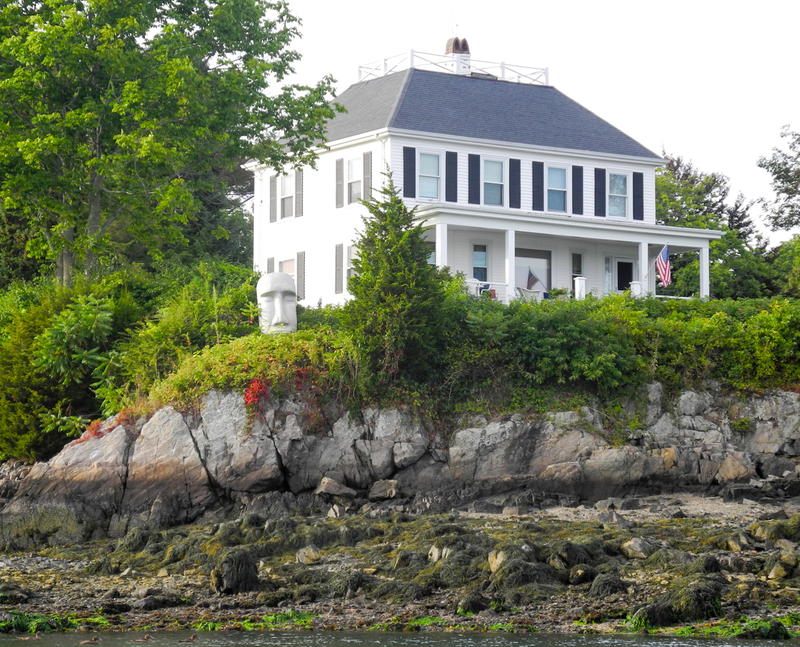 Part of the Elizabeth Islands, Naushon has been owned by the Forbes family for over 150 years. 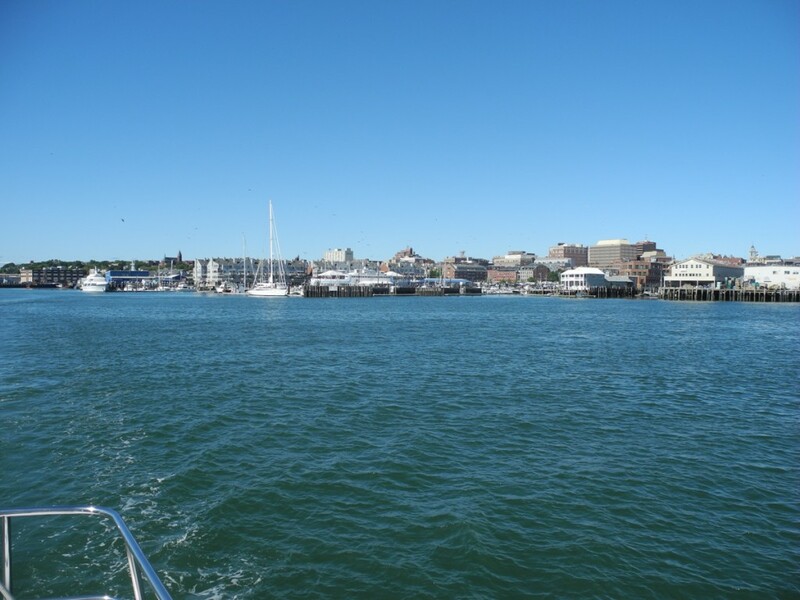 On the northern end, across from Woods Hole, are two anchorages providing excellent holding and protection. We chose the outer less sheltered anchorage knowing the weather was completely benign. 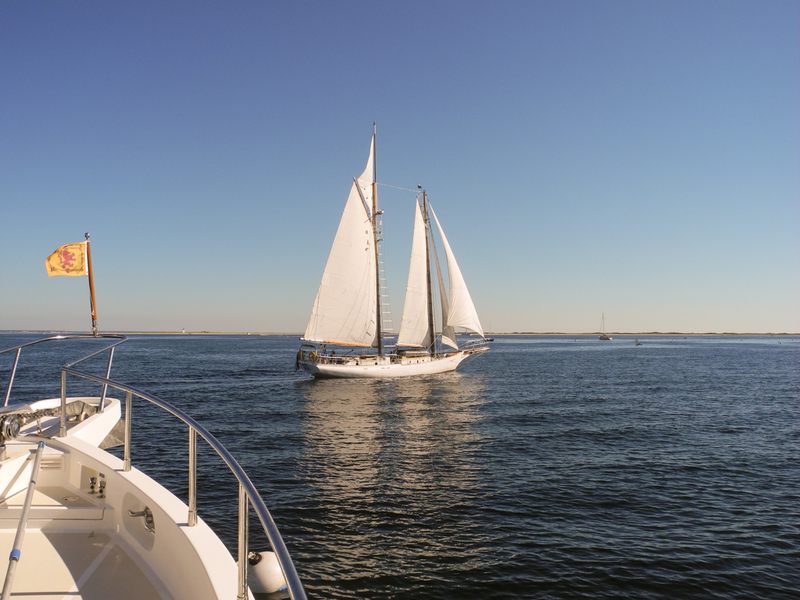 This anchorage also afforded an easy trip to the Cape Cod Canal entrance. We wanted to catch slack tide on the canal as currents can run upwards of 4.5 knots. 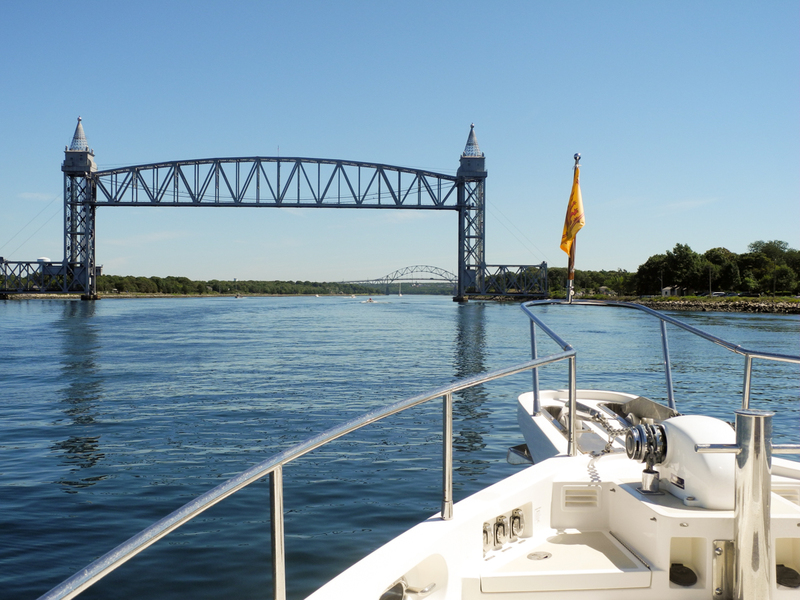 Cape Cod canal provides easy access to Cape Cod Bay and Massachusetts Bay. 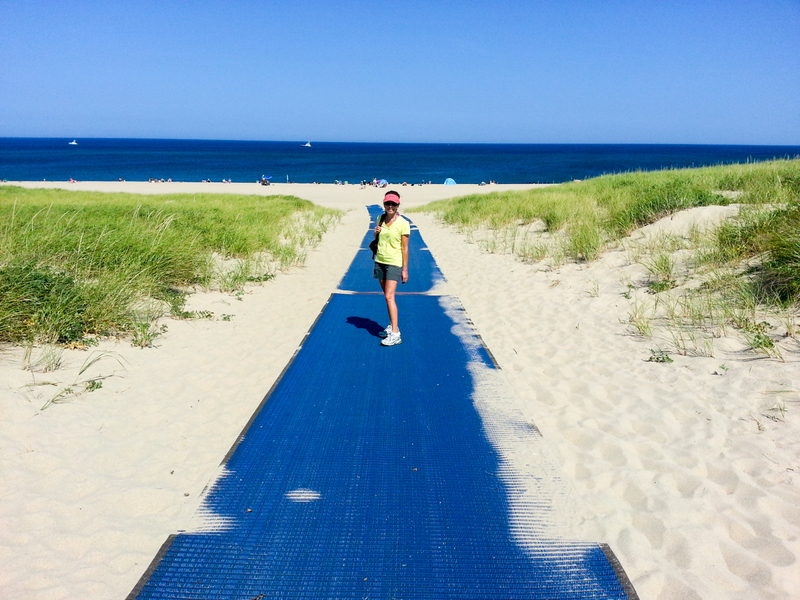 It also eliminates approximately 135 miles of potentially treacherous waters around the Cape. The idea for the canal dates to the early 1600’s. Numerous planning attempts were made thru the 18th and 19th centuries but it was not until 1914 that the canal opened on a limited basis. This past summer the canal celebrated its centennial. The canal is only 7 miles long but approximately 14,000 trips are made each year. Once through the canal our destination was Provincetown. 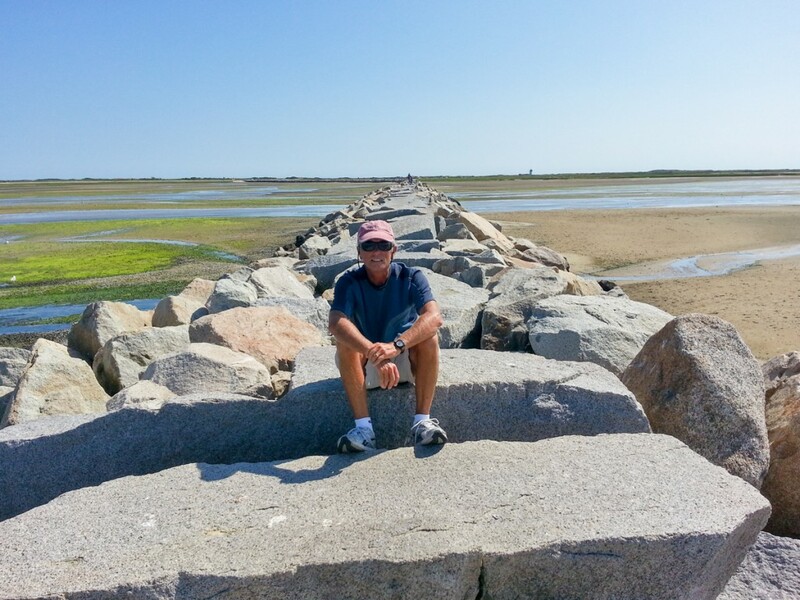 Cape Cod Bay was like a pond for the 22 mile crossing. 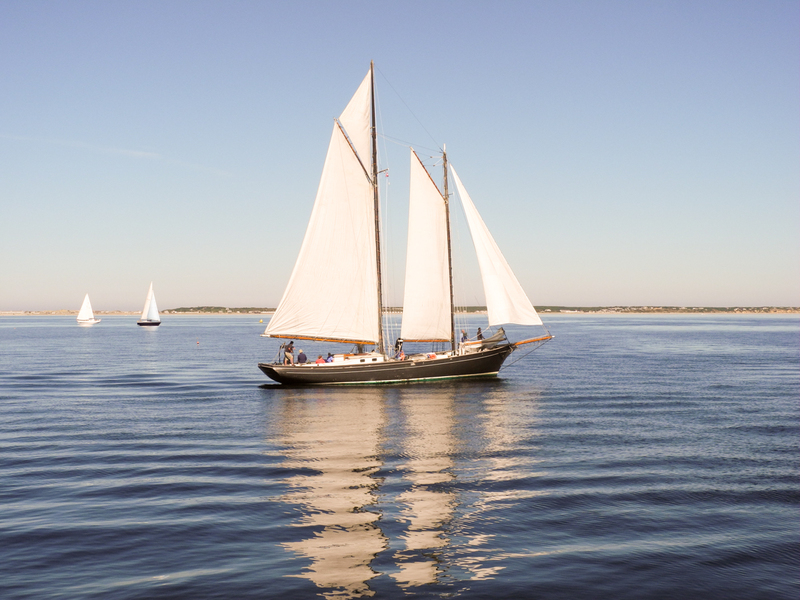 While it was great for us it was not so good for the classic yacht regatta being run that day in Provincetown Harbor. 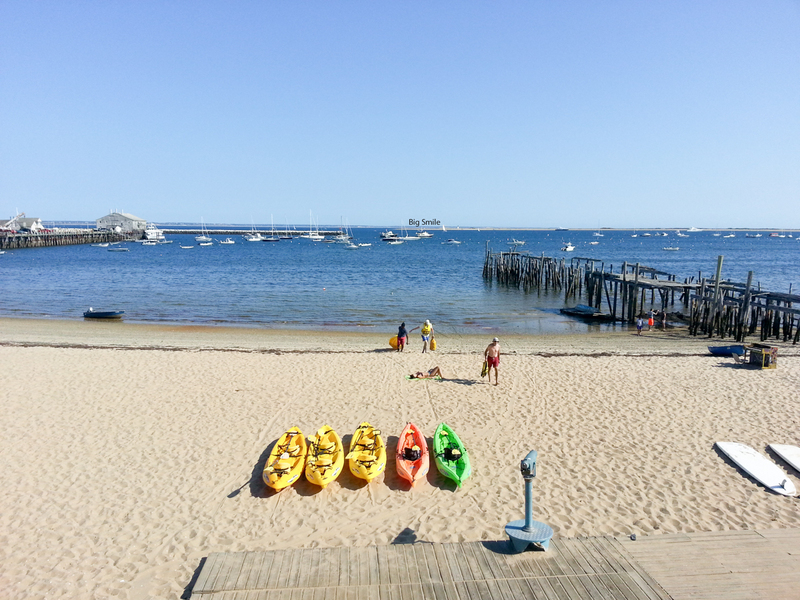 We were hoping to drop the anchor behind the Provincetown jetty but there is barely room to motor through. 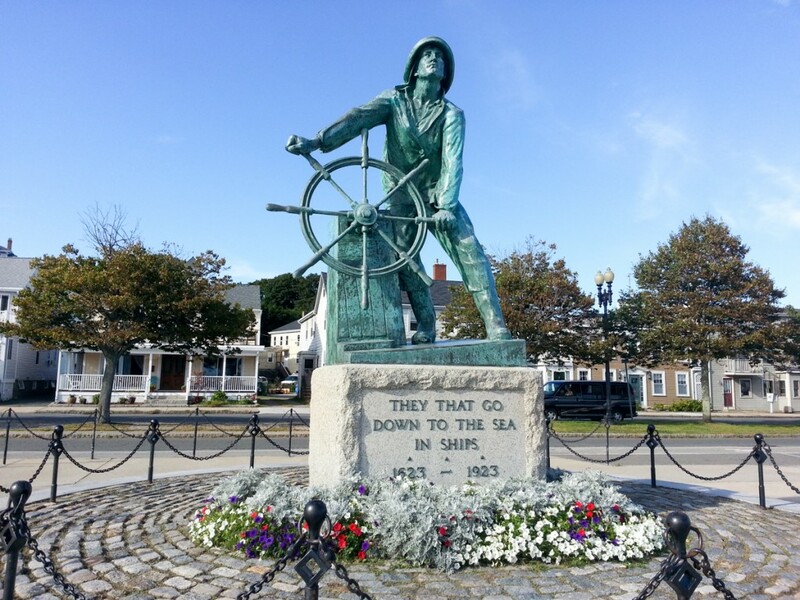 We instead called the harbor master who directed us to call Provincetown marina. They operate most of the mooring balls and had one available for our size boat. You can’t beat the location. They also provide free and very prompt launch service. We enjoyed the area so we ended up staying three nights. 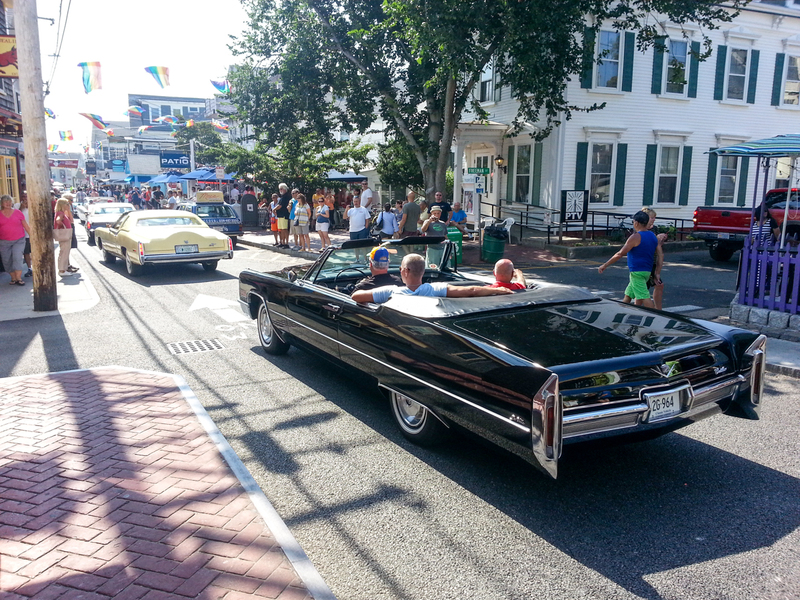 Provincetown is one of those places difficult to describe. 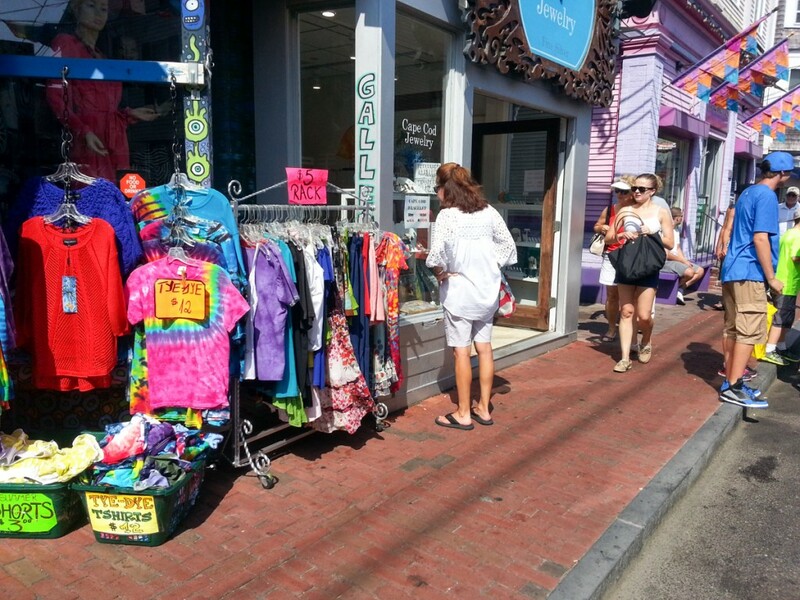 It is liberal, colorful and fun. It also has beautiful beaches and great dining. Many people find it hokey and touristy but we had not been there in over two decades and enjoyed our stay immensely. 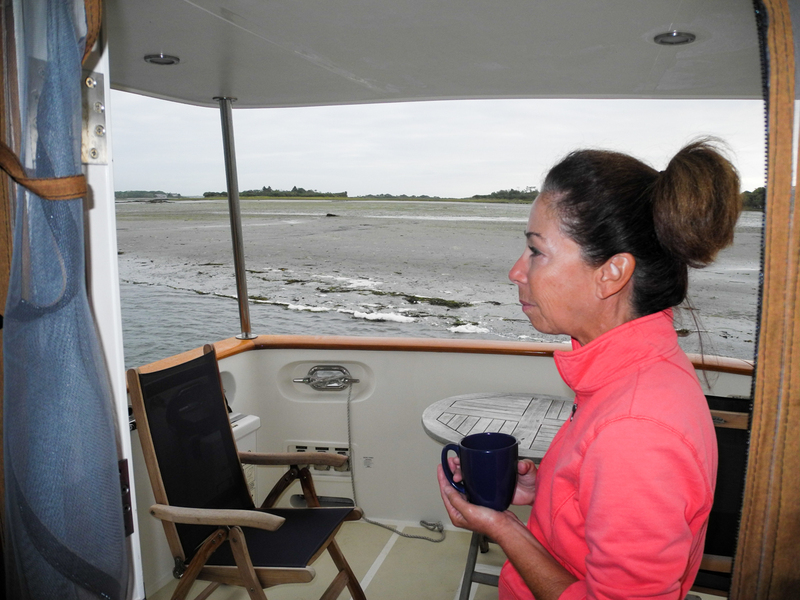 One of my cousins has lived on the Cape for many years and joined us on board for cocktails. We than took the launch in and ate at the restaurant owned by his wifes family. 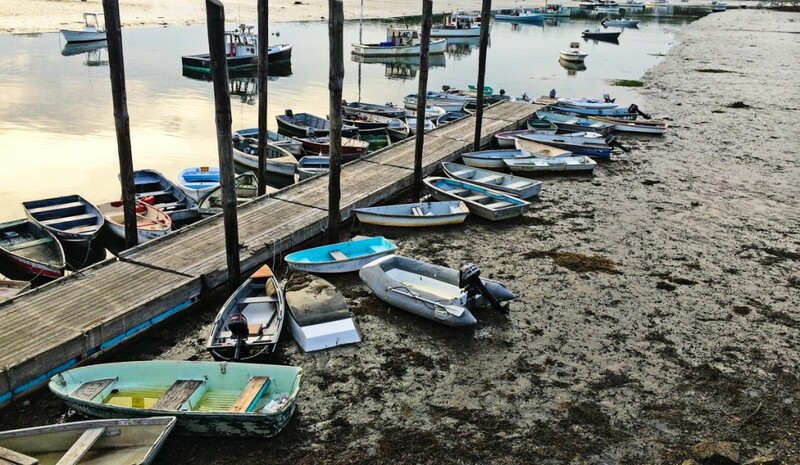 The Lobster Pot is an institution and always crowded. But being family there was no wait. Cape Cod National Seashore is part of the National Park Service. With nearly 40 miles of beach and over 40,000 acres to explore the park is rich in history and beauty. 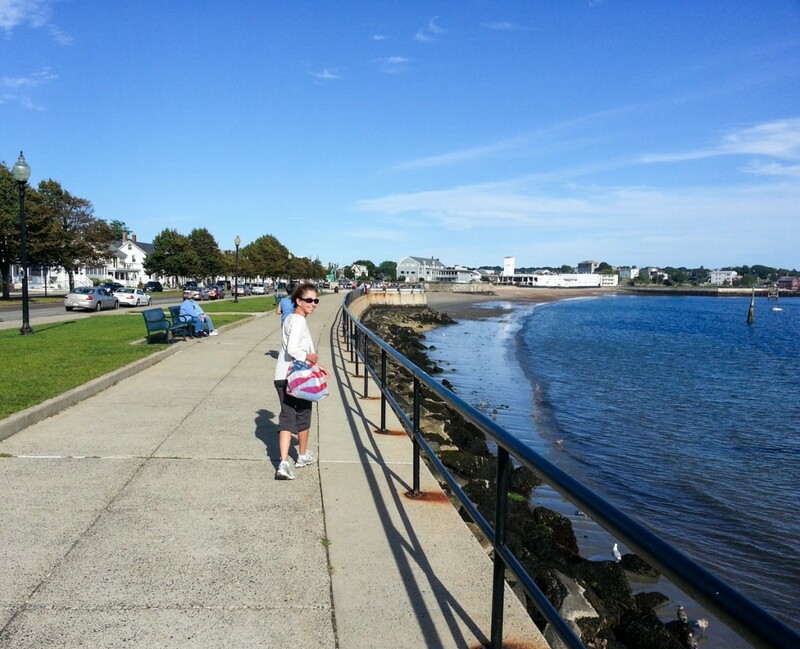 Biking is a great way to see PTown and there is a bike trail within the park that is a must ride. 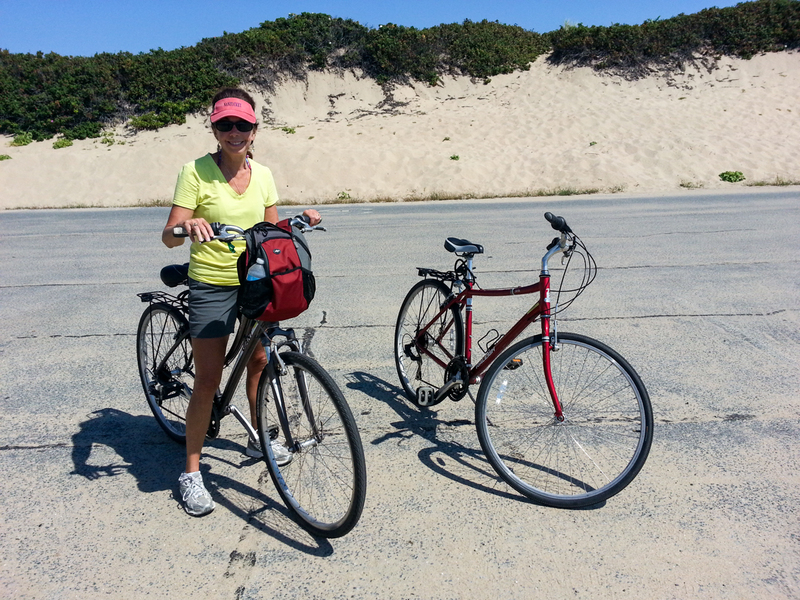 We rented two bikes for the day and rode to the beaches and throughout the park. We also did lots of walking and discovered some unique shops in addition to the very unique clientele of PTown. Being a beautiful weekend in early September the ferries were packed with visitors and the streets were crowded. My cousin gave us a primer on the various parties and weekends that occur in PTown including Baby Dykes and Bear Week. We easily could have stayed a week. 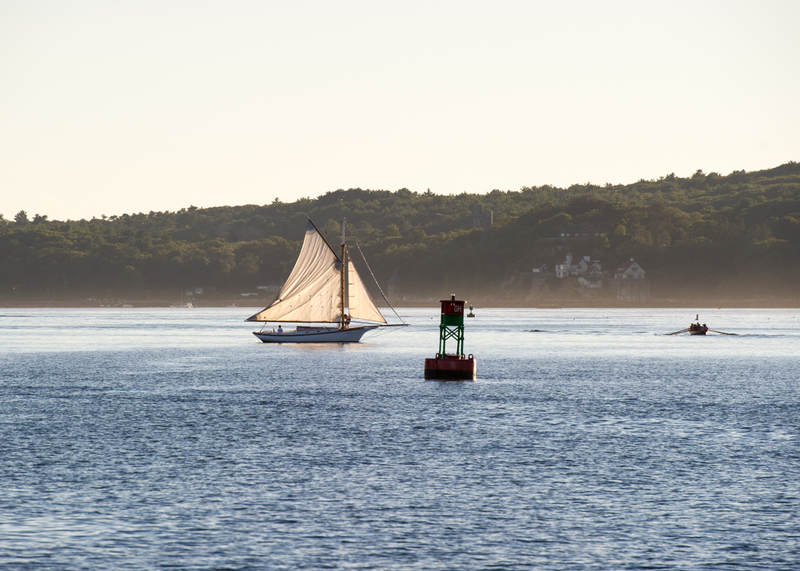 We left early Sunday morning with Gloucester MA as our destination. Arriving at 2PM we had hoped to drop a hook in this harbor but like PTown we thought it too full of moored boats. 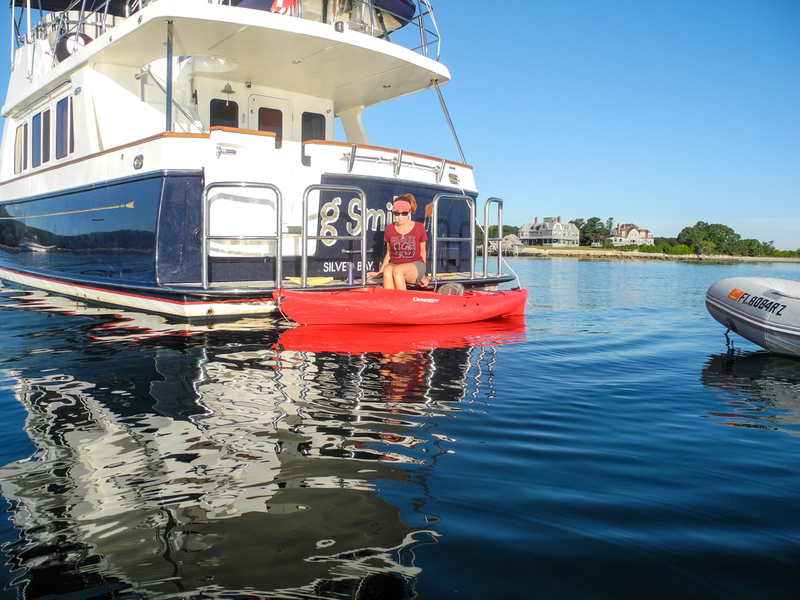 Instead we called the Harbormaster and he had one mooring left that could handle our size so we grabbed it. 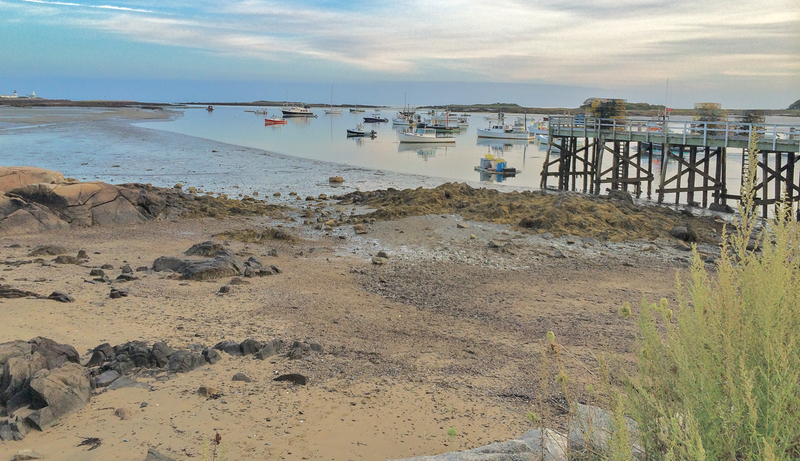 A gritty working class town Gloucester lays claim to being the oldest American seaport and birthplace of the US fishing industry. Gorton’s has been a Gloucester institution since 1849. 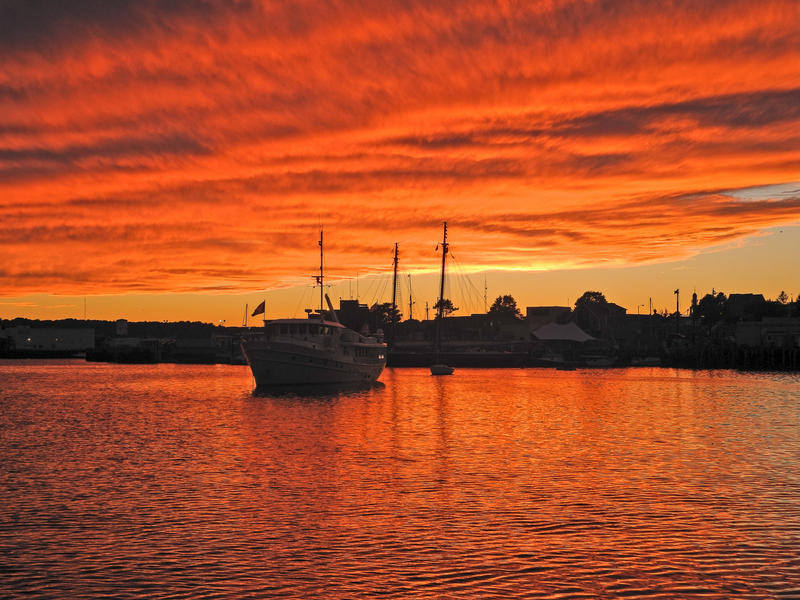 The waterfront is varied with the inner harbor completely commercial and the outer harbor surrounded by homes and marinas. We spent two nights and on the second night we were treated to one of the most spectacular sunsets we had seen all year. It would be all Maine after leaving Gloucester. 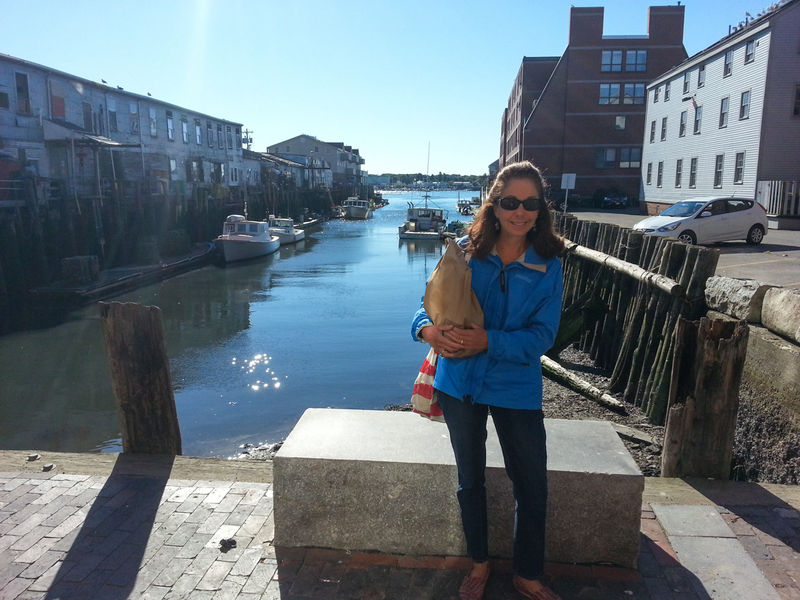 Kittery was our first Maine stop. Due east of Portsmouth NH Kittery claims to be the oldest incorporated (1647) town in Maine. 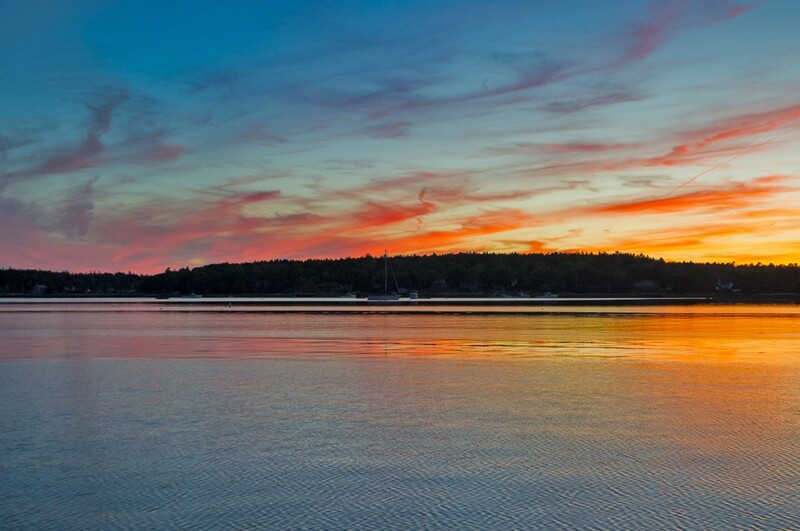 Badger’s Island, part of Kittery and located on the Piscataqua River, was an important shipbuilding center during the American Revolution. The very first vessels of the US Navy were constructed here including the 1777 USS Ranger commanded by John Paul Jones. 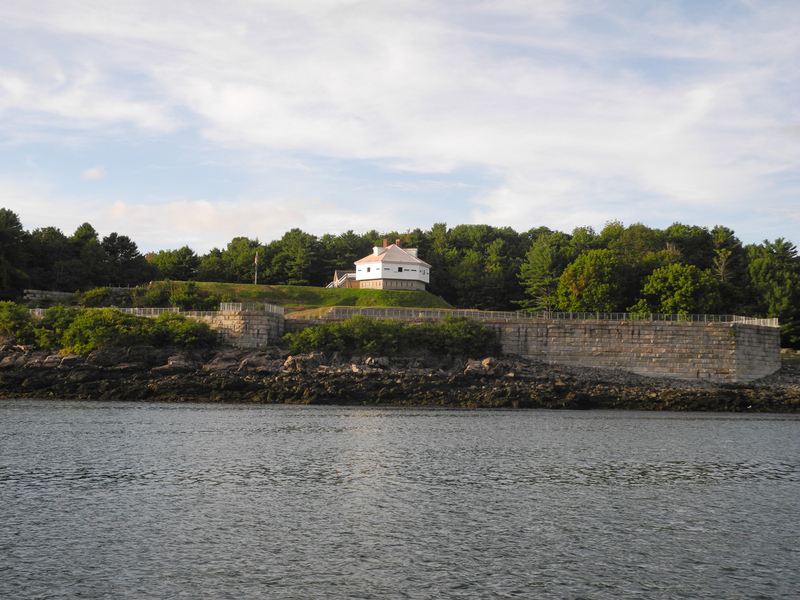 We anchored in the shadow of Fort McClary located at the mouth of the Piscatagua River. Twenty five miles up the coast is Cape Porpoise. Touted as a good short term stop we steered for the harbor entrance. 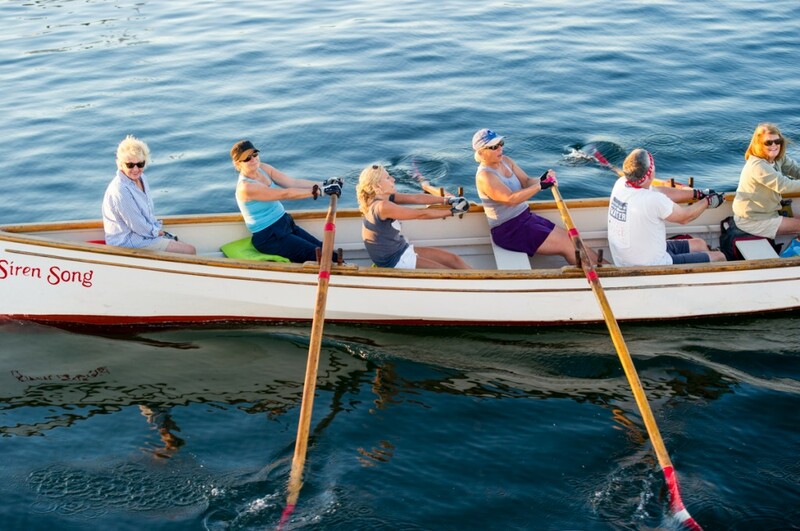 Entering was not simple as expected due to the narrow channel and scores of lobster buoys. 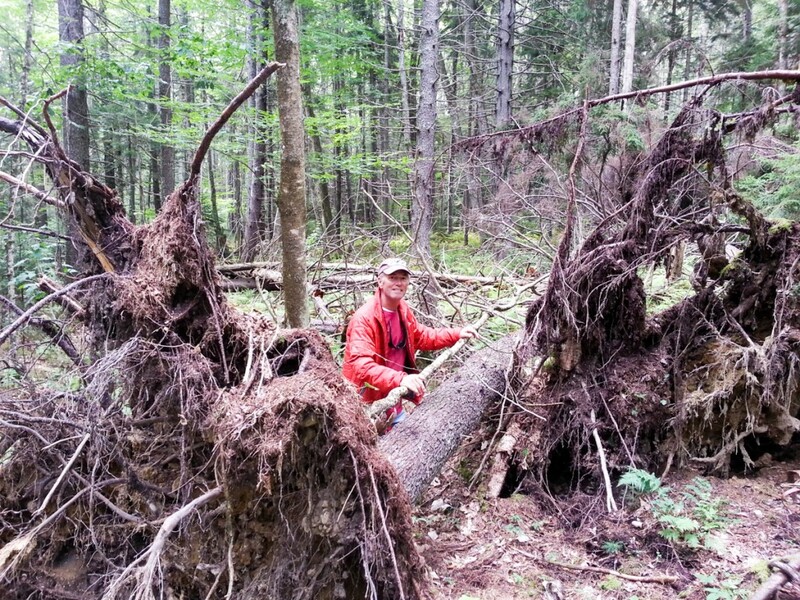 I’ll never begrudge someone making a living but our first three days in Maine found us saying there has to be a method to the madness. There just can’t be that many lobsters for the taking and there has to be some sort of regulation stating you can’t completely block an entrance channel with lobster pots. We did make it in without snagging a pot but once inside the harbor we found an anchorage completely encumbered by private moorings. We knew the harbor was narrow and planned accordingly. After a couple of attempts we got the hook to grab between some currently unoccupied moorings. We were on a short scope but with the wind out of the NE we felt good about the situation. We dinghy’d ashore and did some walking. It is a quaint community. It also has several restaurants including one at the main wharf. My tide chart indicated a nine foot range. Dinghying back in for dinner we saw that the tide chart was certainly correct. We parked the dink at the end of the dock and had a great dinner at Pier 77. Our plan was to leave early the next morning. Unfortunately the wind had shifted 180 degrees during the night and we woke to find ourselves with the stern stuck in the mud. Because we were on short scope my anchor alarm never sounded to notify us of a wind shift. We could not budge Big Smile. 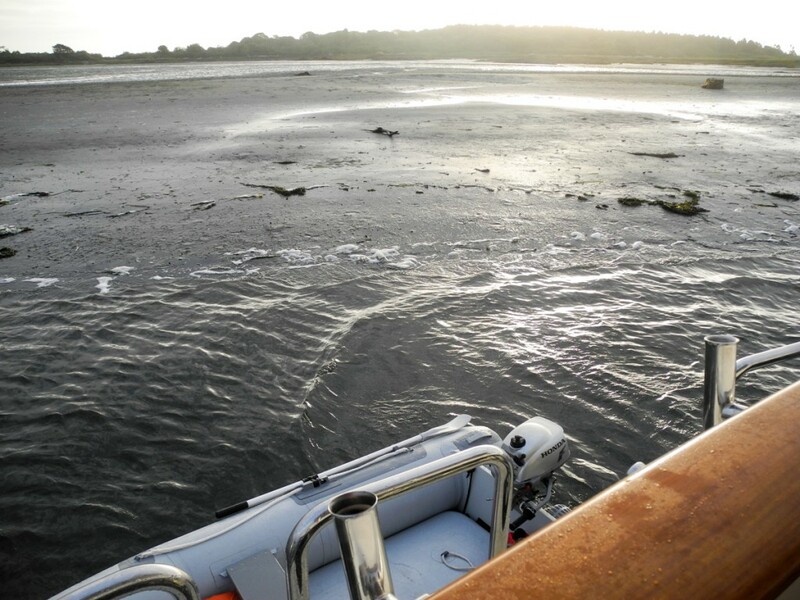 It would be three hours before the tide rose enough to lift us out and allow a safe start of the engine. Finally free we beat a path out of the harbor thru the lobster pots. We were now beginning to make good use of of our pilot house. It was a cold and rainy trip to Portland and we pulled into DeMillo’s Old Port Marina mid afternoon. We had a reservation only for one night but managed to cram in a lot of walking and a dinner with Cath’s cousin at the marina restaurant. 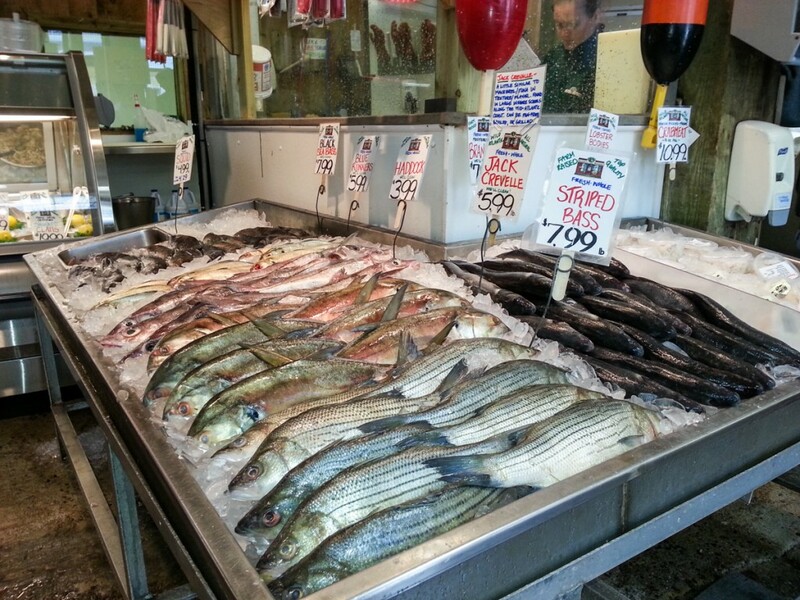 During our walks we found a wonderful seafood market and an awesome bakery. The weather cleared that evening and by time we let the lines loose the next day it was blue skies again. We enjoyed Portland and will spend more time the next visit. 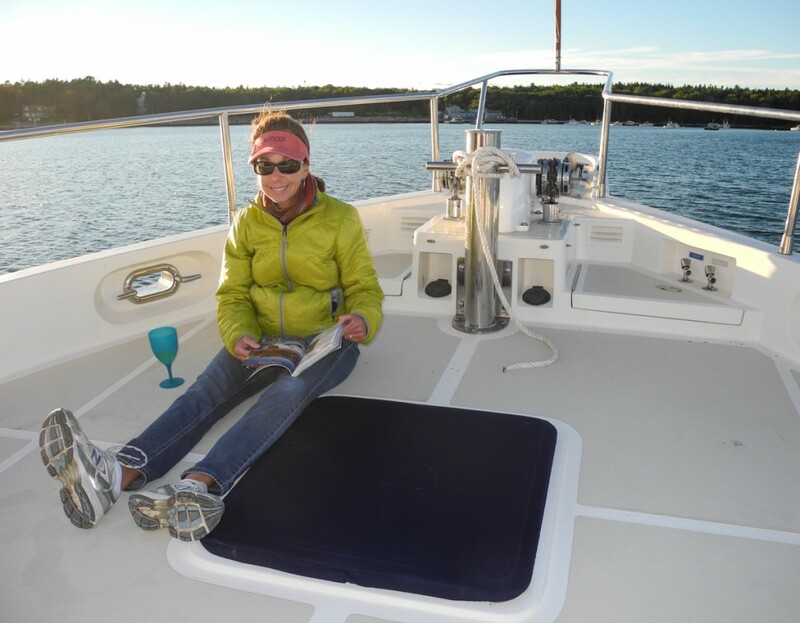 With scores of anchorages to chose from we decided to set a goal of about 25 miles per day and whatever anchorage fit that goal was fine with us. Leaving Portland we had about 125 miles to Southwest Harbor, our final destination. This meant only four more nights at anchor. Next up was a hurricane hole aptly named “the basin”. 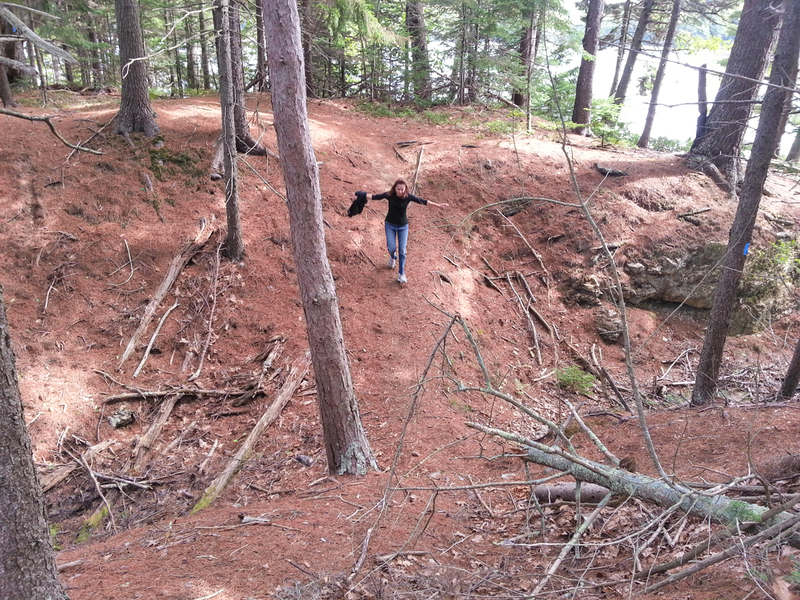 Roughly a half mile square the basin is entered thru a narrow, dogleg cut in the Maine granite. Once inside the basin opens up to what looks like a small lake. There are some homes barely visible thru the trees but much of the surrounding land is a preserve. 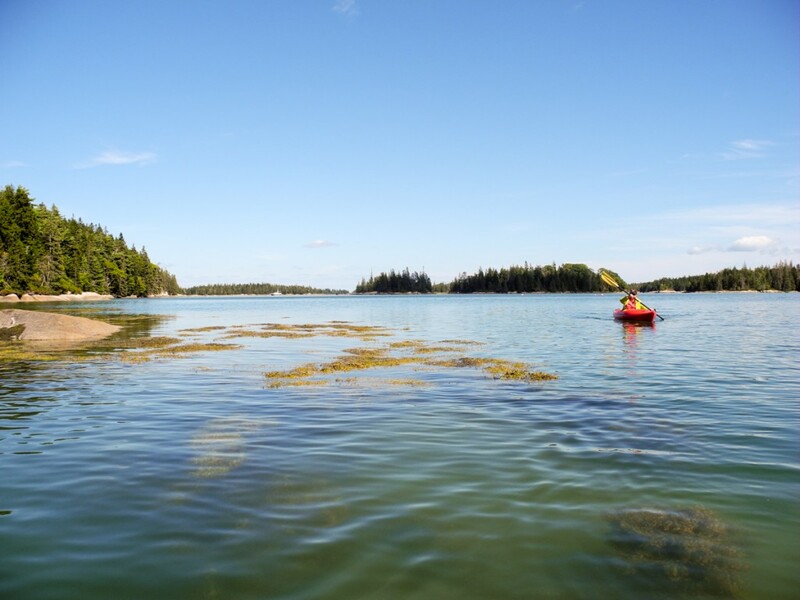 In 2006 an anonymous donor gave 1910 acres to the Nature Conservancy including four miles of coastline. 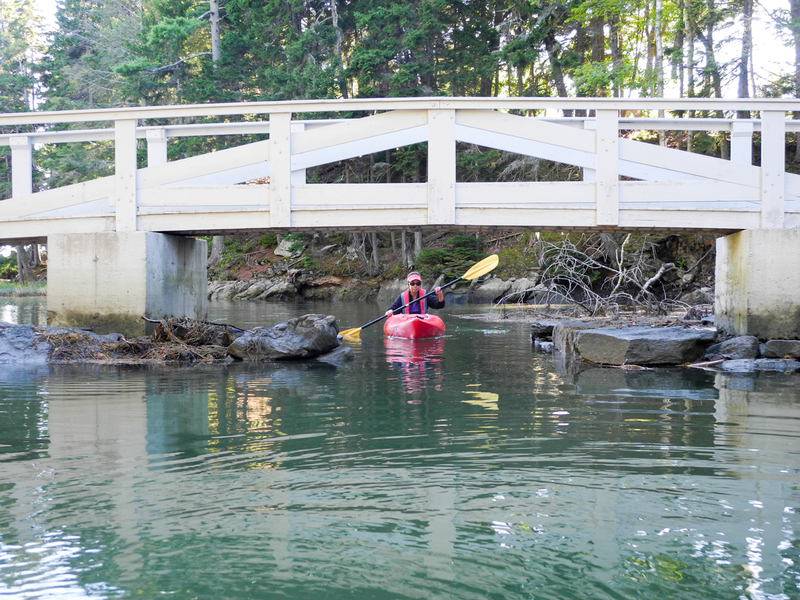 We landed our kayaks at one of the Conservancy’s trail head and hiked thru beautiful woodlands. 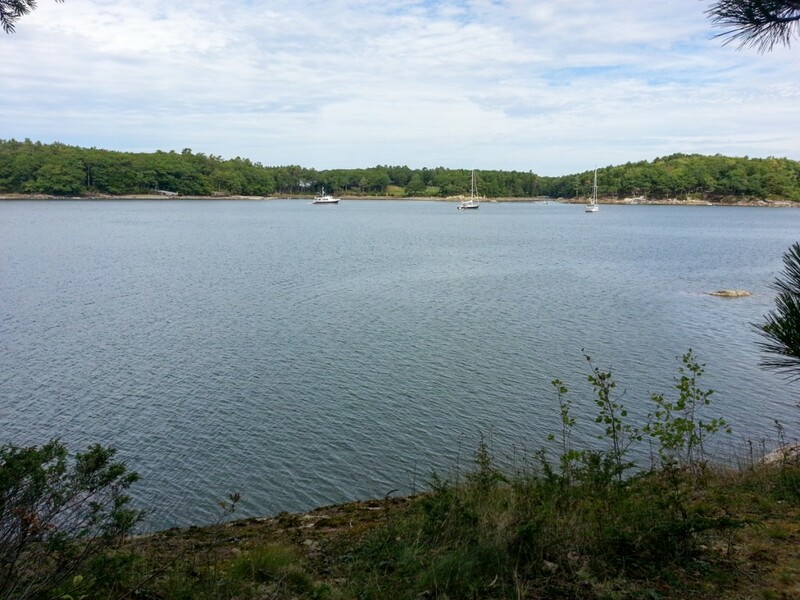 From “the basin” it was on to a much more touristy stop, Boothbay Harbor. 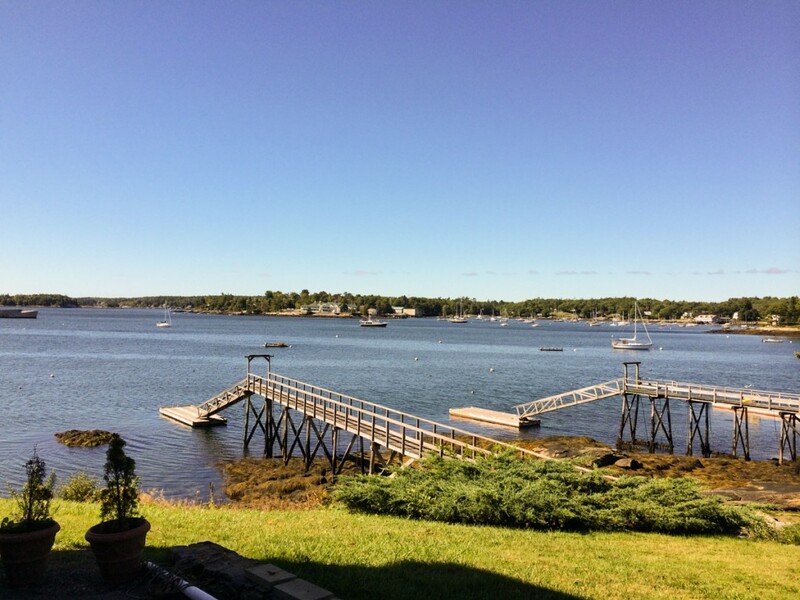 While Boothbay Harbor is a nice protected anchorage the town itself reminded us of the NJ shore. If you wanted a t-shirt this was the place. Our next stop was a nice surprise. 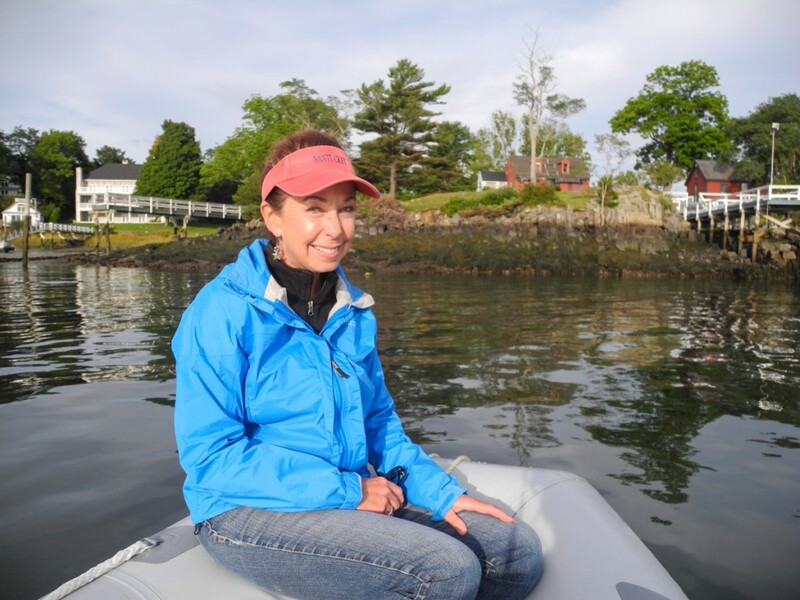 We expected to anchor on the outside of Tennants Harbor but instead found a large anchorage just off the harbor called Long Cove. Easily entered and nearly devoid of lobster pots it was perfect. 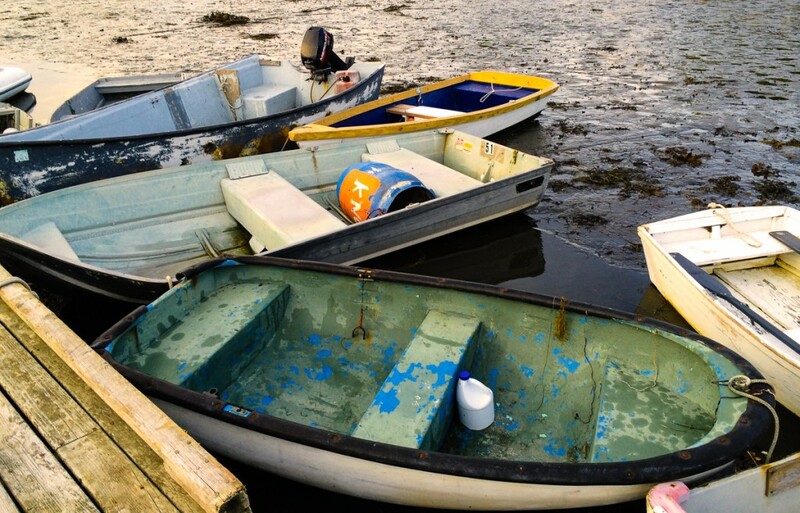 The cove hosts a small fleet of lobster boats who were polite and idled past us in the early morning so as not to create a wake. Our last anchorage we hoped would be special and it was. 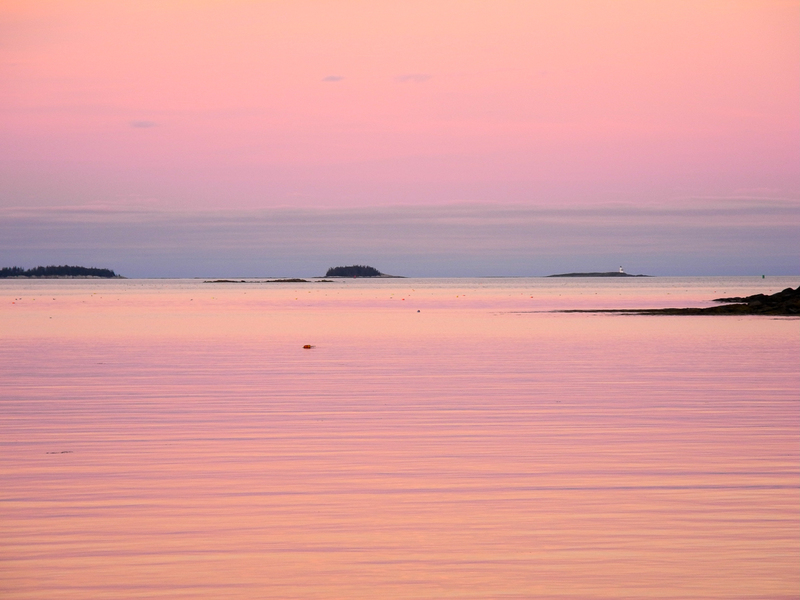 The destination was Seal Bay on the south side of Penobscot Island. 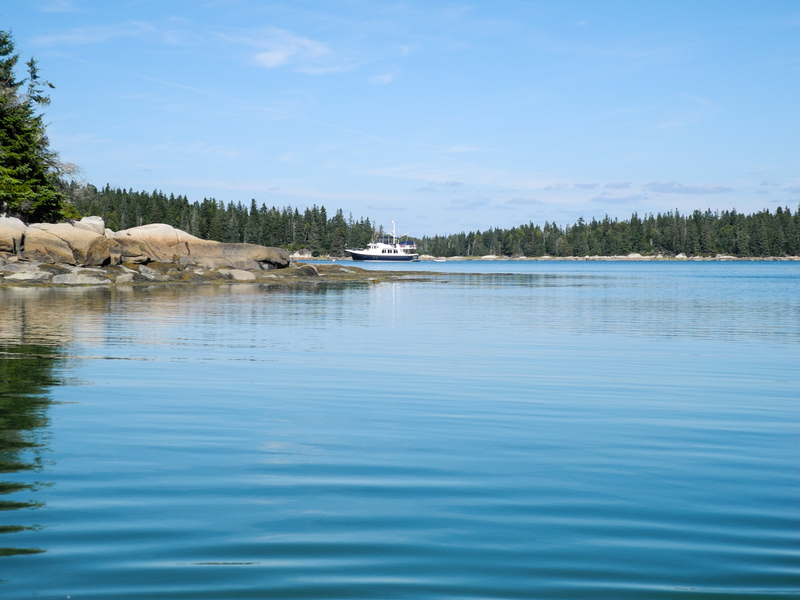 Penobscot itself is tucked inside Vinalhaven Island and thus is a well protected anchorage. 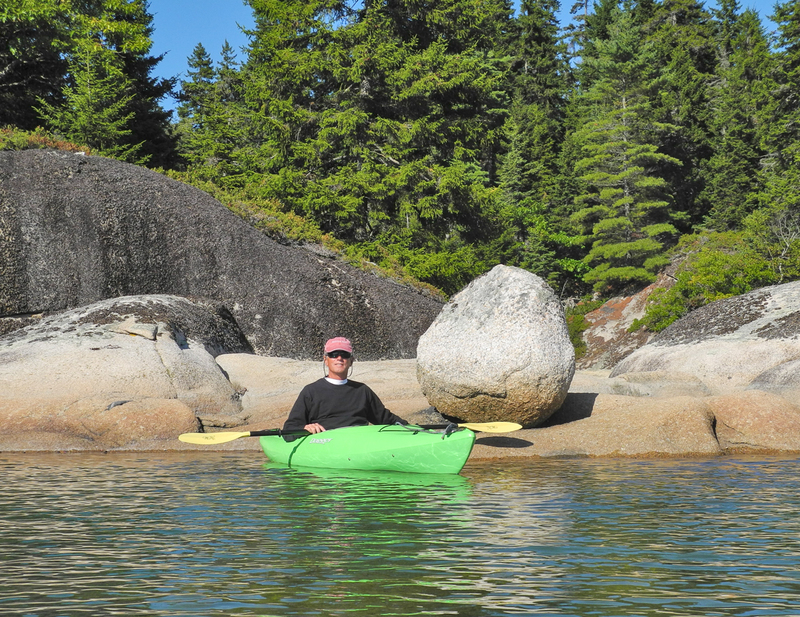 The entrance in is challenging and Maine granite will meet your keel if you are not careful. There is one mooring, ownership unknown but available if unoccupied. We arrived just as a sloop was leaving and so we grabbed it. The surroundings were pristine and we were the only boat. The kayaking was some of the best we had done all year. 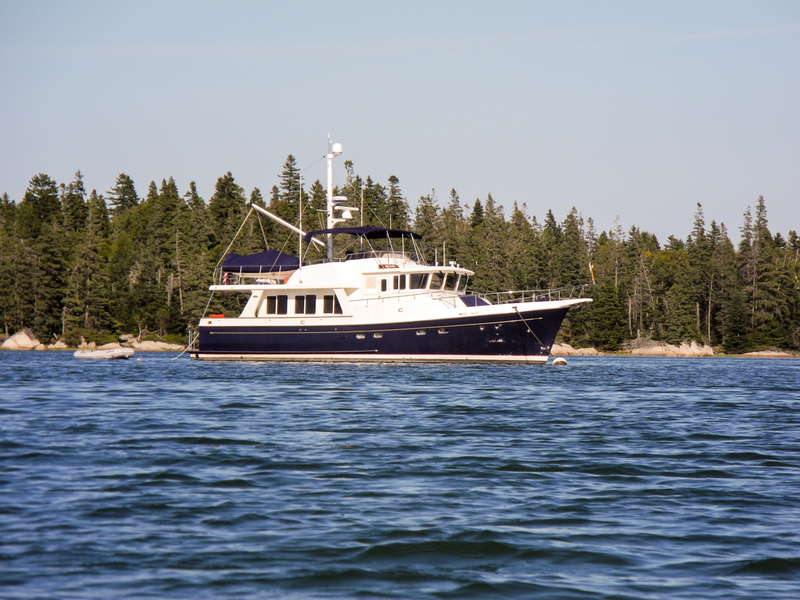 Seal Bay to Hinckley Yachts in Southwest Harbor was bittersweet. We had left Sunset Bay Marina on March 9th and now many months and 1,800 miles later we were dropping Big Smile off for the winter. We chose the Hinckley yard for several reasons. 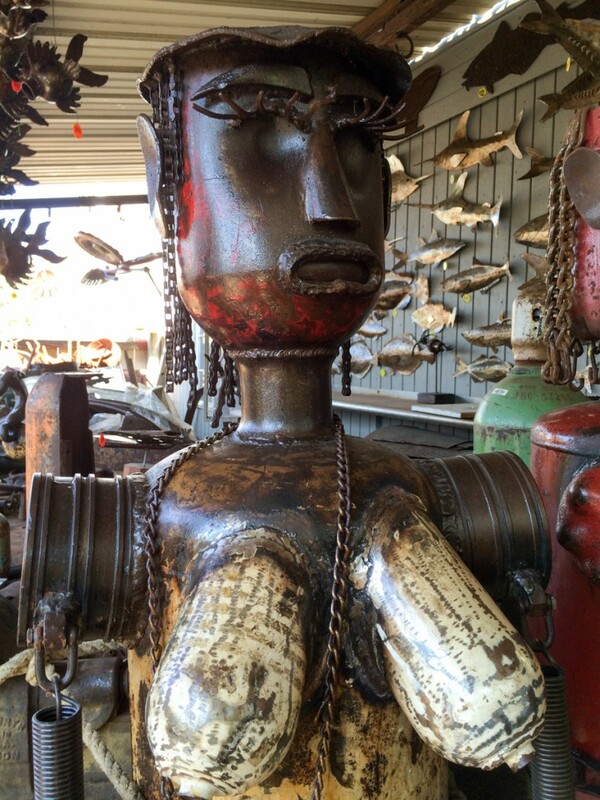 We wanted Big Smile in heated, indoor storage and there are not that many places that can handle a 60′ LOA boat. We needed a place we could trust and also wanted to be able to fly in if necessary to check on her and ready her for next years trip to Canada. 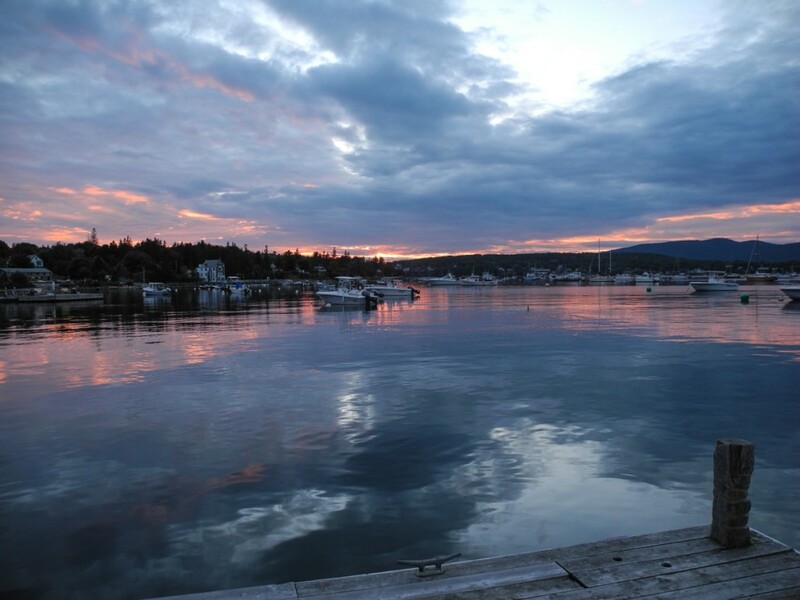 With Bar Harbor airport nearby Hinckley fit the bill. We spent two days unloading and preparing her for the winter. Hinckley would do the heavy lifting ie systems shutdown and long term storage requirements. We packed our rental car and left for VT and the lake.